The Rt. Rev. 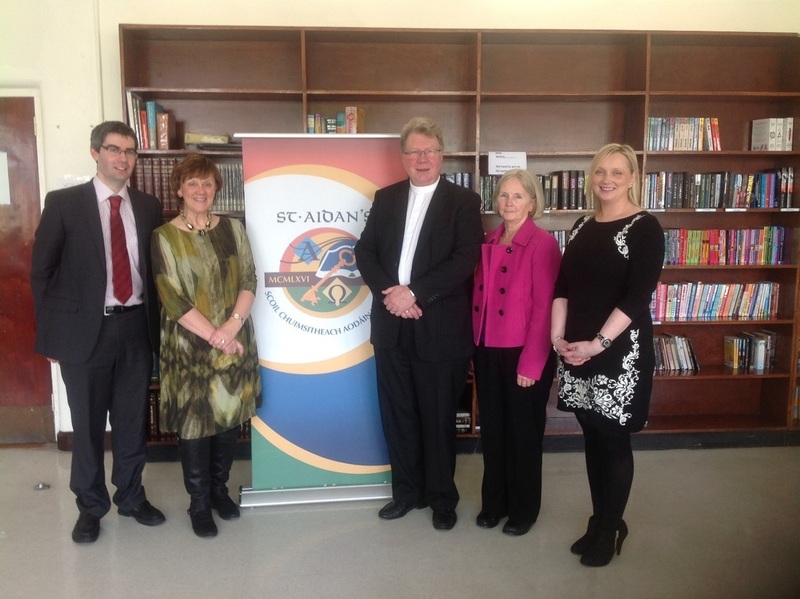 Dr. Michael Barry (Moderator of the Presbyterian Church in Ireland) and his wife Esther visited St. Aidan’s Comprehensive School on Thursday 5th March as part of a weeklong visit of the Presbytery of Monaghan. On arrival they was given a tour of the school by Ms. Vogan and The Principal Ms. Smith. He then gave an informative and interesting talk to Rev. Daryl’s and Ms. Vogan’s Religion classes on his visit to P.C.I. missionaries in Kenya using photographs and a PowerPoint presentation. They were then presented with a paperweight engraved with the school crest to mark this visit.